our cosy and private outdoor garden is the perfect place to relax. made cool and breezy by our outdoor cooling system. In the “Biergarten” of the German Hof, we regularly organize special events. and Caribbean dance music). Every Friday night is karaoke night. World Championship Football, films, and other important events. your request, we can also arrange and cater any event to your personal taste. a party? 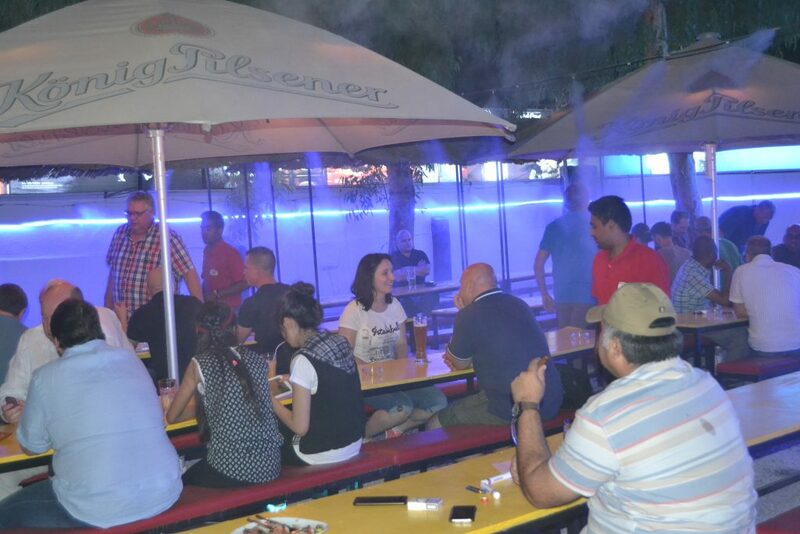 Come to the “Biergarten” of the “Deutscher Hof Erbil”. wine or anything you desire.